Author: Raymo, Chet Set In . . .
For almost forty years, Chet Raymo has walked a one-mile path from his house to the college where he taught, chronicling the universe he has found through observing every detail of his route with a scientist's curiosity, a historian's respect for the past, and a child's capacity for wonder. 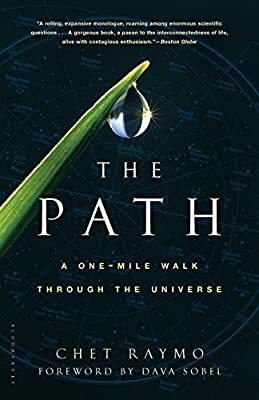 With each step, the landscape he traversed became richer, suggesting deeper and deeper aspects of astronomy, history, biology, and literature, and making the path universal in scope. His insights inspire us to turn out local paths-- whether through cities, suburbs, or rural areas-- into portals to greater understanding of our interconnectedness with nature and history.